The origin of this center (formerly an Organized Research Unit, or ORU) can be traced to 1951 when a contract was made between the Manhattan Engineering District of the Defense Department (which became the Atomic Energy Commission in 1954) and the UC Davis School of Veterinary Medicine. The original program, known as Project Four, involved the development of information in long-lived animal species of the long-term consequences of sublethal radiation exposure. In the mid 1950's, a second project was added (Project Six) which also used experimental animals to determine the health consequences of continuous low level ingestion of long-lived, bone-seeking radionuclides (strontium-90 and radium-226), which are present in large quantities in both nuclear weapon debris and the nuclear energy fuel cycle. Both projects outgrew the two-acre site on the main campus, and the facility moved to the Armstrong Tract in 1958. These two programs were combined in 1965 and incorporated into an ORU, which was named the Radiobiology Laboratory. Until 1973, these projects on external and internal irradiation were the major research activities of the ORU, and funding came exclusively from the Atomic Energy Commission (AEC). 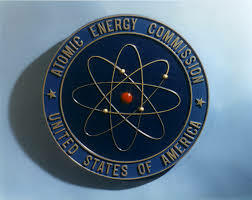 The AEC eventually became the Department of Energy (DOE). DOE had a broader mandate than atomic energy, and the research program was expanded to assess the health impact of fossil fuel particulate effluent. In 1979, the ORU was renamed the Laboratory for Energy-Related Health Research (LEHR) in recognition of its expanded mission. By 1984, the research programs of the ORU had undergone significant changes as a result of shifts in national interest. DOE support for health research on fossil fuel effluents ended, and the long-range internal radiation program began to wind down as the life span of the experimental animals ended. The Institute for Environmental Health Research (IEHR) succeeded LEHR in 1987 as the mission of the ORU expanded to include more non-energy related research. The successful transition from LEHR to IEHR was accomplished, in part, because of the location of two large, state-funded programs in the institute. The Davis component of the Northern California Occupational Health Center (NCOHC, now the Center for Occupational and Environmental Health) was relocated from the campus to the institute. The director's unit of the newly-funded UC System-Wide Toxic Substances Research and Teaching Program (TSRTP) also was established at the institute. NCOHC and TSRTP became semi-autonomous, independently-funded units within the institute. 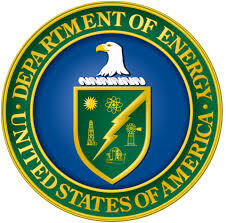 The remaining DOE-funded research continued as the third major unit of the institute, and retained the name of LEHR. The ORU was administered originally as a federation of programs. In 1991, TSRTP was relocated to the California Regional Primate Research Center and ceased to be a unit of the ORU. In 1988, UC Davis recognized the need for formal planning in the ORU. A Visiting Advisory Committee was appointed to review the ORU and its relationship to other campus programs in toxicology and environmental health. The committee report recommended that the mission of the institute be expanded to provide campuswide coordination of research in toxicology and environmental health. In response to this report, the name of the ORU was changed again in 1990 to the Institute of Toxicology and Environmental Health (ITEH). The director's responsibilities were broadened and the reporting line was drawn to the newly-created position of vice chancellor-research. The responsibility for the administration of the ORU was formally transferred from the School of Veterinary Medicine to the Office of Research in 1992. ITEH was formally disestablished as an Organized Research Unit on July 1, 2001. On July 1, 2001, CHE evolved from the Institute of Toxicology & Environmental Health and became the Center for Health and the Environment in the John Muir Institute of the Environment (JMIE). Several new faculty were added to the existing ITEH faculty, and a new mission statement was created. The focus of research in CHE is the effect of environmental agents on the health of humans, animals and other organisms.